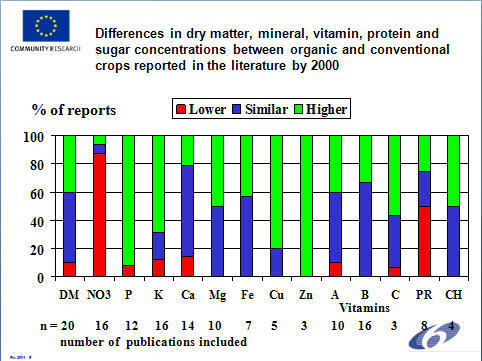 When you read articles saying that there is not much difference in-between organic and conventional food in nutrient content, know what they mean! Those studies only study if a certain nutrient can be found, but not how much of it. 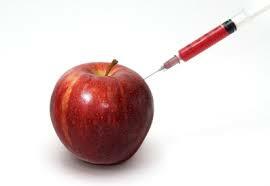 That’s the clever way for the industry to keeps us oblivious and feed on their toxins. This study made by the EU talks by itself. You can clearly see that pesticides makes the food lack nutrients (they also need them to detox) as well as making us need more of them to detox as we eat poison. No wonder the bees are dying, nature gets polluted, and we get more inflammation based disease such as cancer and CVD!￼ When you check studies, look for those which compare the difference in levels of content of vitamins, minerals, etc, not just if there are traces of the nutrient in it. That’s the clever difference, giving you articles saying that conventional fruit is “as nutritious as organic” meaning that both contain, say selenium. But it doesn’t specify how much selenium you get in one or the other. Always check the source of the study. If it is subsidized by the industry, check another one or make your own conclusions. ￼Some can still be useful. 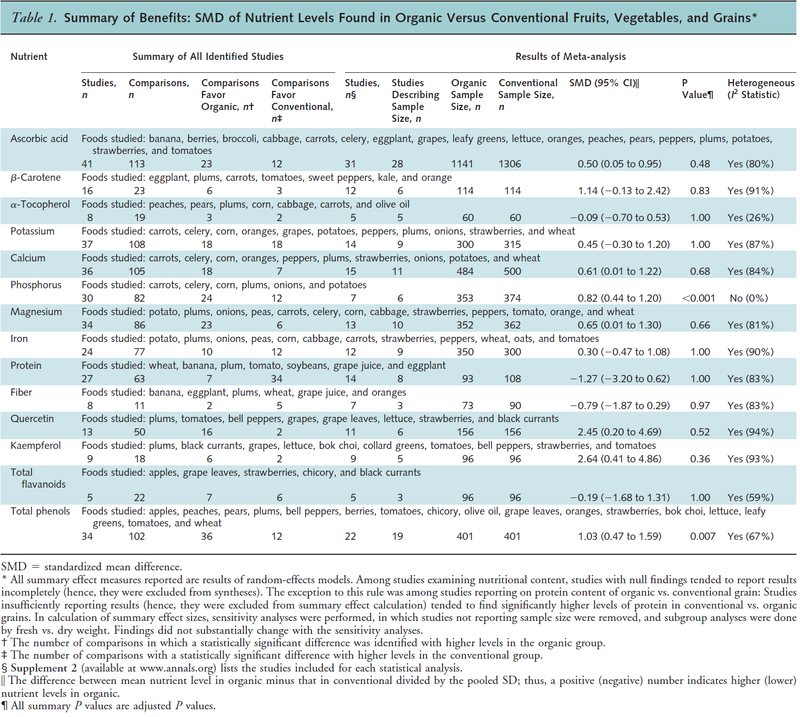 Like the study above, (sorry, it’s a bit difficult to read) that shows clearly that organic produce contains around 50% more nutrients (which is the normal conclusion of these studies) but the abstract form the ACP (Annals of Internal Medicine, Am College of Physicians) said that ‘there is no significant difference’. Hmmm…really? If significant difference is set to 100%, then of course that conclusion is right. In reality this means that we have to eat a double amount of fruits and vegetables to get the same amounts of vitamins and minerals as if we buy non-organic. Then if you think you save money buying non-organic you are wrong. Every day, you would have to compensate the loss of nutrients in conventional food by eating about 2 kg of broccoli, drink 0,5 liters of olive oil, 5 apples, etc, to get what your grandparents did before the war. No wonder people over-eat today, our bodies are craving micro nutrients. I prefer to buy organic and take my supplements. More on how we got this industrialized agriculture in tomorrows blog.